Asbestos is a very dangerous substance and can be found in many different locations in buildings and in industrial waste. Asbestos has to be handled in the correct manner. Find out more on the ProTrainings Health & Safety WiKi pages. This killer substance is a danger in many different sectors and it is estimated that 20 tradesmen, 4 plumbers, 6 electricians and 8 joiners die every week from this hidden killer. It is important to know when there may be a risk of exposure and how to avoid coming into contact with fibres, dust or any part. It was extensively used as a building material in the UK from the 1950’s to the mid-1980’s. It was used for a variety of purposes and was ideal for fireproofing and insulation. 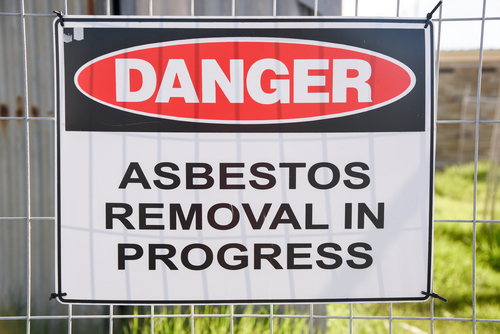 Any building built before 2000 can obtain asbestos and they can be homes, schools, offices or hospitals. Materials in good condition are safe unless asbestos fibres become airborne, which happens when materials are damaged.